I get dozens of emails every day from followers asking me to upload different video tutorials for things like crocheting, knitting and paper crafting. The most popular so far is paper crafts! 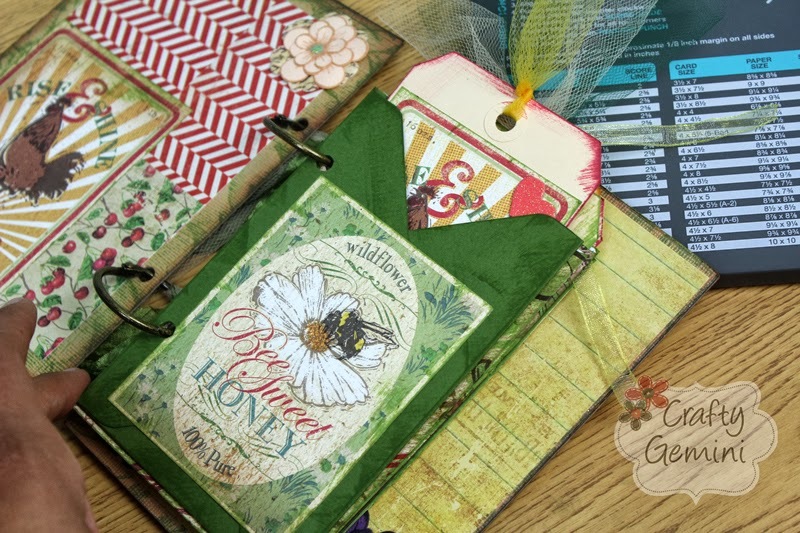 I do a little scrapbooking here and there and have been jumping more into mixed media work and art journaling recently. 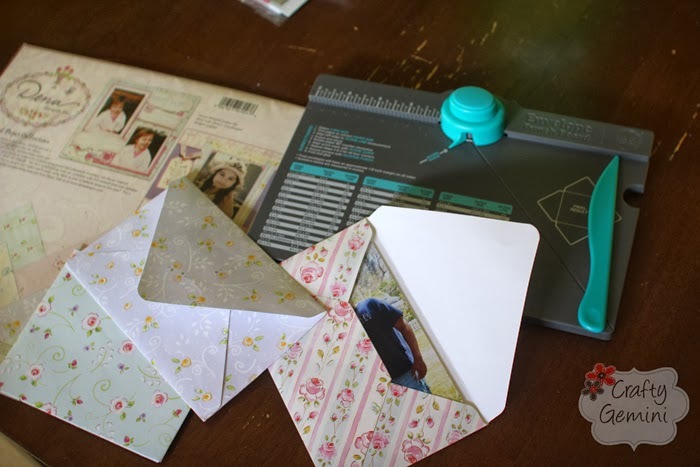 It’s so much fun and although I L-O-V-E sewing and quilting… I do enjoy the almost instant gratification of making a quick card with custom envelope or a mini photo album. So, I’m bringing you my first paper crafting video! YAY! This past weekend I took two classes at my local scapbooking shop- Cootie Coo Creations in High Springs, FL. 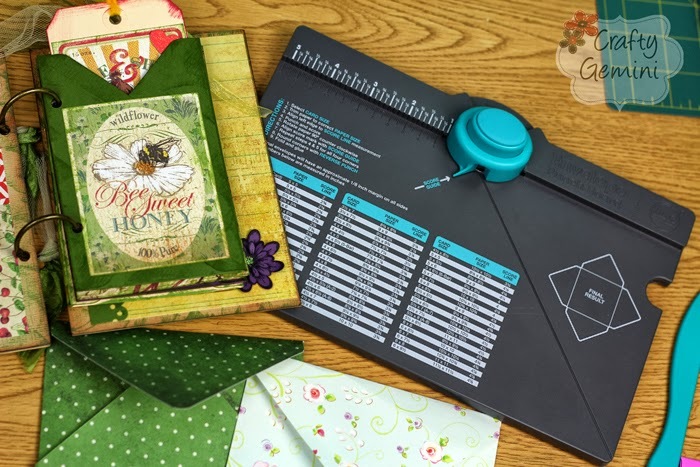 One of the classes called for using the Envelope Punch Board by We R Memory Keepers so I purchased it ahead of time and started playing with it last week. WOW! I was so impressed. 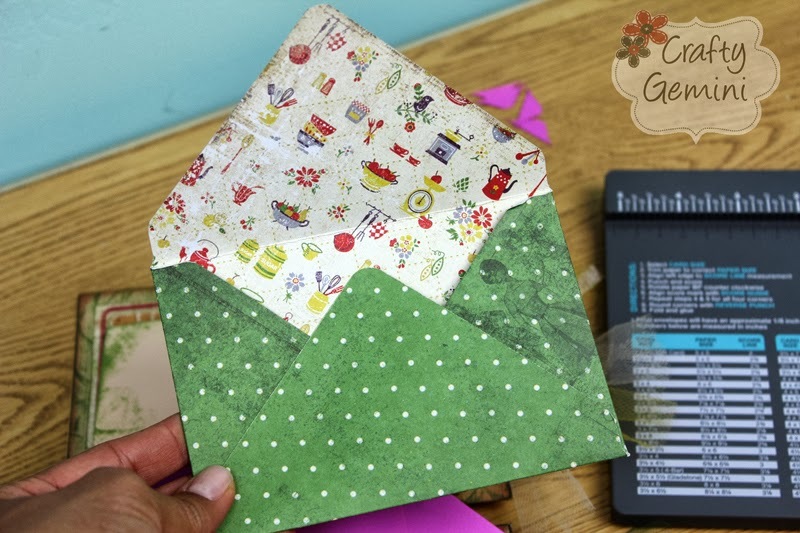 So quick and easy to use and something like 60 different sized envelopes can be made with it in less than a minute. Here are a few of the things I’ve made with mine so far. Double sided paper makes gorgeous envelopes! After posting a few pics on Facebook many of you asked for a tutorial and here it is! I’m gonna be on TV AGAIN! I made it to Round 2 of Craftsy Blogger Awards! I am always searching the correct sized envelope…with this I could make it quicker, than finding one! Makeup for the show…now how could they improve your pretty face? Looking forward to seeing you on tv!